Marvin L. Davis was born in Granville County and grew up in Durham. After graduating from the United States Coast Guard Academy, he served in World War II then worked briefly with the police department. Davis’s return to law enforcement in 1958 was almost inevitable. Three generations of his family had served in law enforcement, including his great-great-grandfather, who was one of the first sheriffs in North Carolina. 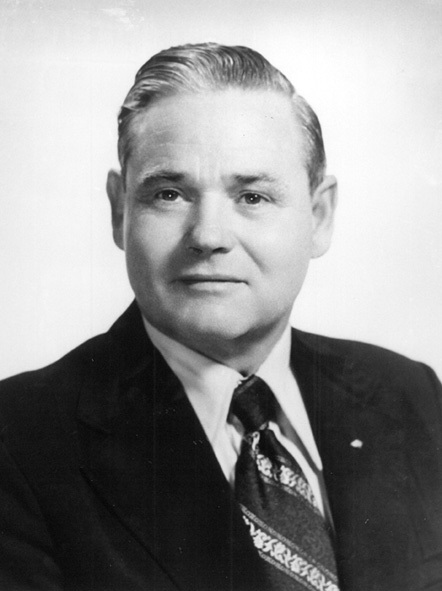 Davis was elected as Durham County sheriff in 1970. He added a modern communication system, including the Police Information Network, and founded the Deputy Reserve Program, a fully trained reserve force whose members receive no compensation—the sheriff’s department furnishes their equipment only. He was a member of the International Police Hall of Fame Foundation and the Police Intelligence Association, among other law enforcement organizations. Davis died in office in 1977.